Studying the structuration of the Universe consists in studying how galaxies, galaxy clusters, stars and planets form and evolve. The starting point of the structuration of the Universe is well known: the tiny inhomogeneities in the diffuse cosmological background, as observed by WMAP and more recently by Planck. 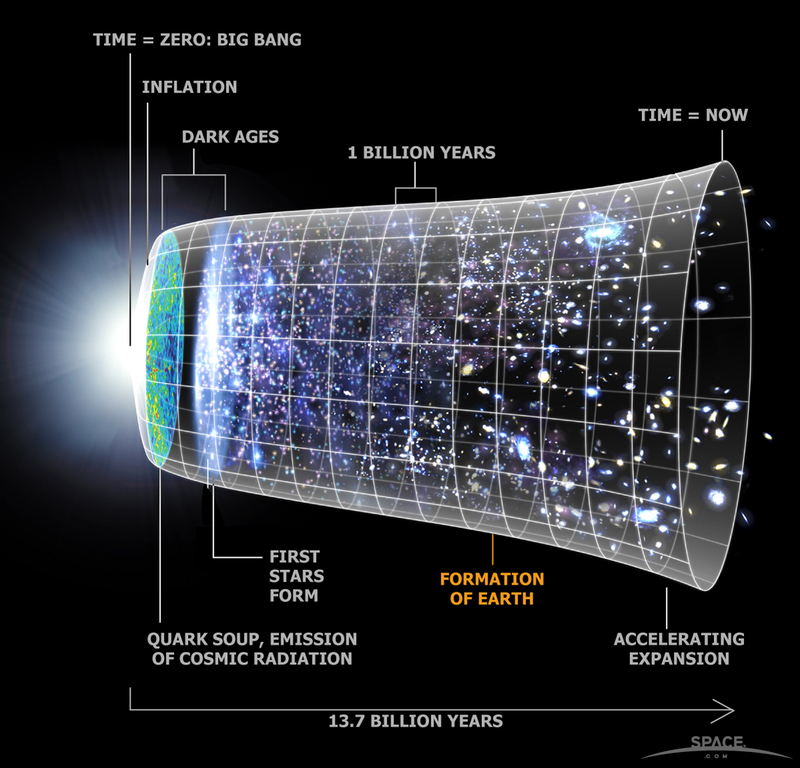 The theoretical framework of the studies is the so-called “cosmological concordance model”, with its two components: dark energy and dark matter. Then, observing the structuration of the Universe is also a way to test the cosmological model. Structuration of the Universe and observational cosmology are strongly interleaved. The studies are made from multi-wavelenghts observations and multi-scales numerical simulations. The most intriguing development in modern cosmology is to realise that the better part of the Universe is essentially of unknown nature. This conclusion relies on two types of observations. The first one is the indirect evidence since decades of the presence of a large quantity of invisible matter, called dark matter, whose gravitational influence spans all cosmic scales, from galaxy to clusters of galaxies, and the whole Universe. 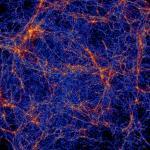 Today our Universe is made up of stars, galaxies, clusters of galaxies but also huge voids. Yet when it was born over 13 billion years ago, matter was evenly distributed. To understand the physical mechanisms responsible for this scenario, we need to trace the history of galaxies and their clustering by combining the three pillars which are observations, theoretical data modelling and numerical simulations. At high energies, the violent phenomena of the Universe are linked to the production of radiation and particles such as X-rays, gamma rays, subatomic particles of all types (charged particles, neutrinos, etc.) and to the extreme th gravitational radiation. The aim of studying this radiation is to understand what mechanisms are capable of producing the acceleration of galactic and extragalactic particles within compact objects and their environment. We are studying how stars work, the Sun first of all. We have deepened our knowledge of the Sun via helioseismology observations (discovery of global gravity modes with SOHO-GOLF (Garcia et al., Science 316, 1591 (2007)) and large magneto-hydrodynamics simulations on massively parallel computers (Brun et al. ApJ, 742, 79).